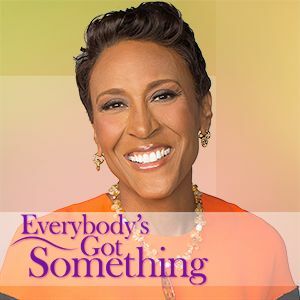 A podcast by Robin Roberts featuring fascinating guests sharing stories of how to find unexpected inner strength in the aftermath of adversity. 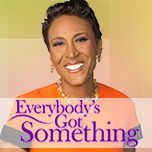 We have heard some amazing stories of resilience during the first two seasons of "Everybody's Got Something" -- but until now, we've focused on people you probably know. This week, we focus on our listeners' own 'somethings.' Robin even sat down with one listener, Sammy Kamara, and his wife, Carol, in our New York City studio! Eleven women in Felicia Johnson's family, including herself, have been diagnosed with breast cancer and she has made it her mission to break the cycle of silence, especially among African-American women, to encourage others to share and seek out information about this disease. Kenny Anderson was once one of the most sought after basketball players in the country, but after retiring as an NBA All-Star and losing his mother, he bottomed out when a DUI charge cost him a coaching position. Struggling with his post-NBA identity and fading fame, Anderson says he is still a "work in progress," and in a new documentary, "Mr. Chibbs," he discusses some of his toughest issues, from alleging he had been molested as a kid, to the excessive drinking rumors, to filing for bankruptcy. Ernie Johnson Jr., a three-time Emmy award winning sports anchor and host of TNT's "Inside the NBA," has had a legendary career that spans more than 40 years, but what he cherishes most in life is caring for his family. In his new autobiography, "Unscripted: The Unpredictable Moments that Make Life Extraordinary," Johnson describes embracing challenging times, including he and his wife Cheryl adopting their son Michael, who has muscular dystrophy, and losing his father, renowned baseball announcer, Ernie Sr.